How old does my child need to be to join? Children need to be at least three years of age to join the school. Classes are paid by the term and calculated by the number of weeks in each term. Fees are due in the first week of each term. New students get their first class free and then the remainder of classes for the term are to be paid before their second class. Payments are accepted in cash or via direct bank transfer. No Cheques or card payments. Yes students need to wear the class uniform but not required straight away. We recommend they complete their trial class and make sure they are happy with the class before purchasing anything. 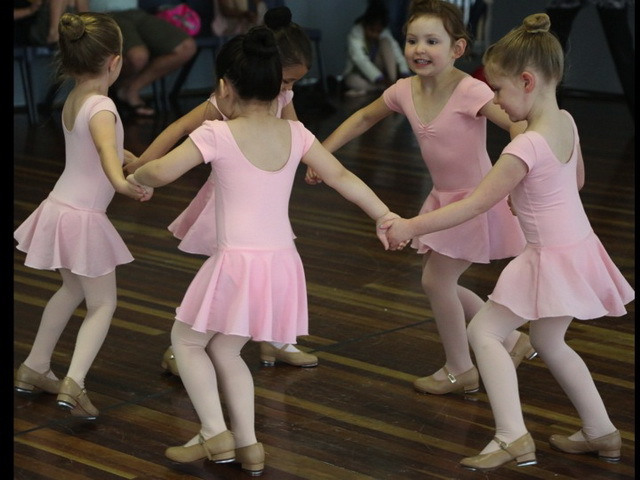 Students that have items from a previous dance school are welcome to wear that for their first term. Can my child start straight away or do they need to wait until start of next term? We accept children at any stage during the term. The best time to start dancing is straight away! Parents are welcome to watch classes if they are doing one of the pre-school classes. We find that with the school aged children they focused best if the only adults in the room are the teachers. We do however invite the parents to come and watch the last week of each term. Parents of new students are welcome to watch their child’s first class. We do this for you. Once we know what age your child is we have a good idea what level they should start at. We also use the trial class to assess the child’s ability and will move them up or down a level if we feel they need something different. If they are in the 3 or 4yr old classes we recommend they wear a “fairy dress” or something similar they love to dance in at home so they feel special about coming to dance and bare feet is fine for first week. If they are older – leggings and t-shirt or singlet (stretchy clothes) is best as they need to be able to move without restrictive clothing. Socks or tights are not recommended as they can slip on the dance floors. If your child is sick or busy and misses a class they are still required to pay for it but can come along to another class at the same level as a “replacement class”. We offer all classes twice a week – weekday and weekend. The replacement class does not need to be done in the same week but does need to be done within the same term. Can boys join the classes? Yes boys are welcome in any of the classes. Contact the school either via the inquiry form or call Michelle and book in for the free trial class with no obligation to join and once your child has danced and loved the class you fill out an enrolment form, we will organise to send you payment forms and once you have paid your child’s place in a class is secured. Yes we have a concert at the end of year in either November or December. The concerts are held at Nazareth College’s performing arts centre. All students are invited to participate in this fun event! Didn’t find the answer to your question? Please contact Us for more information.